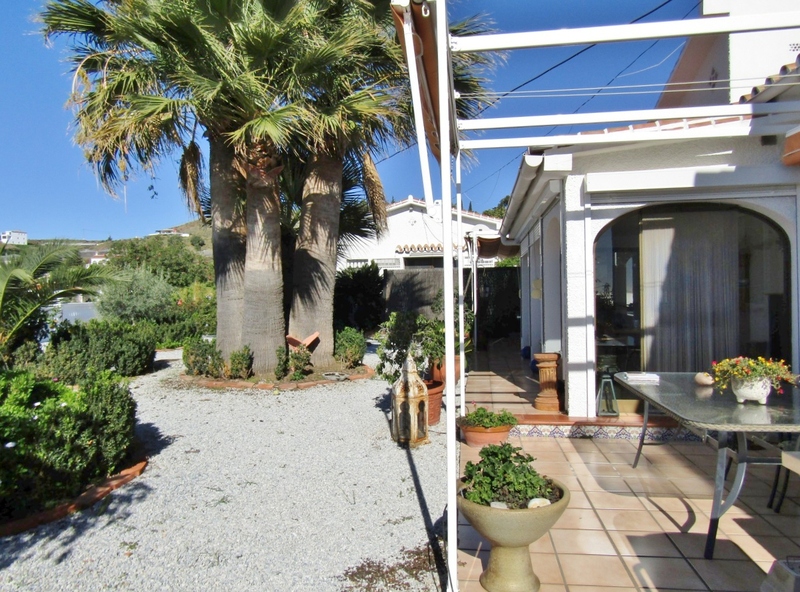 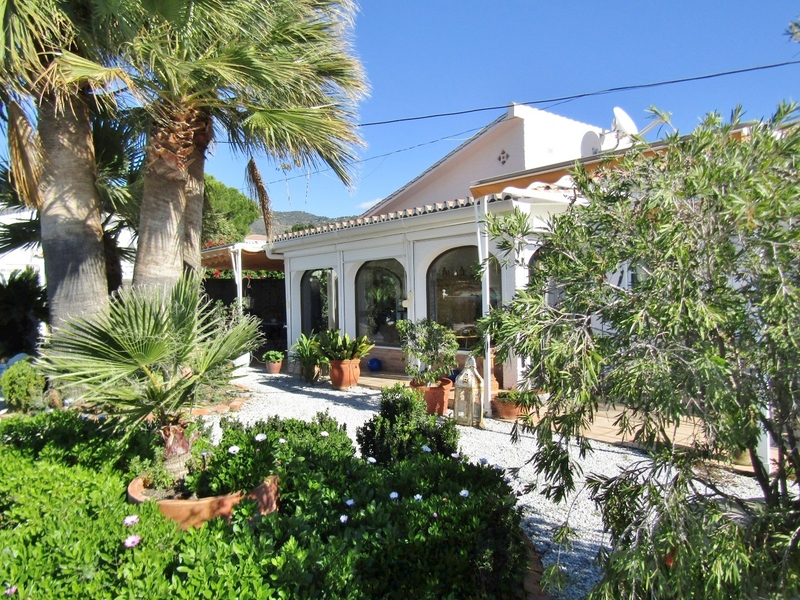 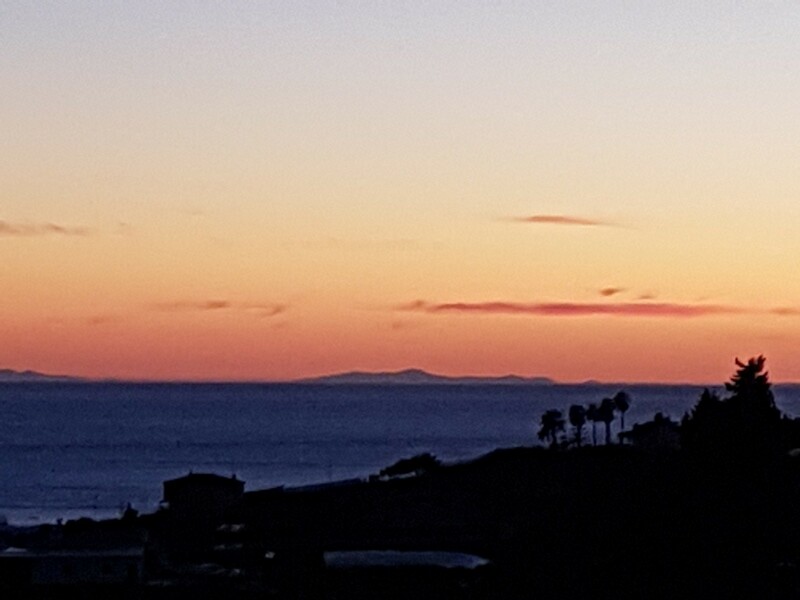 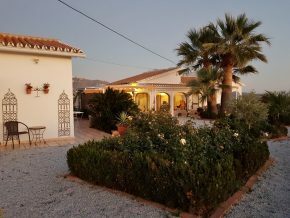 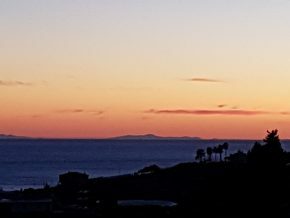 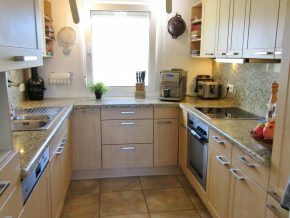 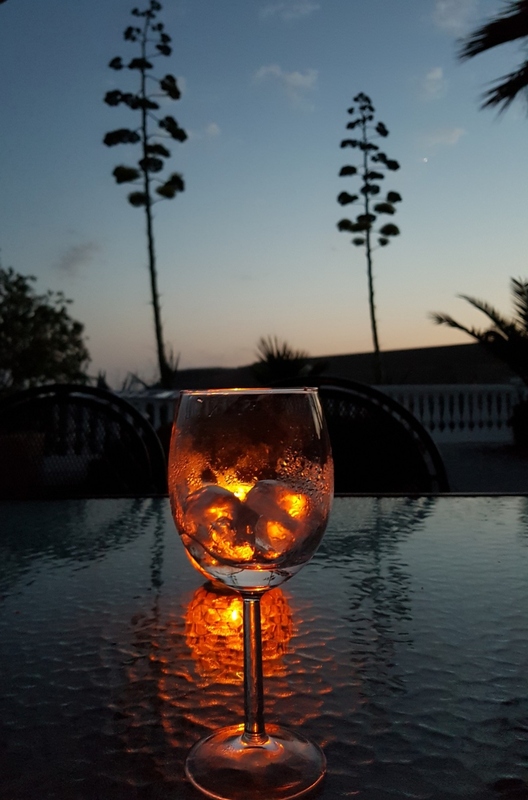 A very comfortable, beautiful and private country house with casita and yurt running as a successful little tourist business, in a perfect location, close to the coast – plus parking and electrics for 4 motor homes. 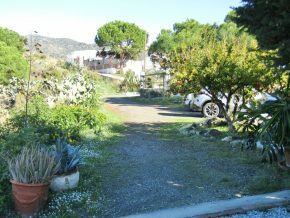 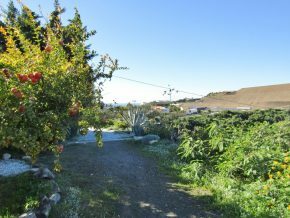 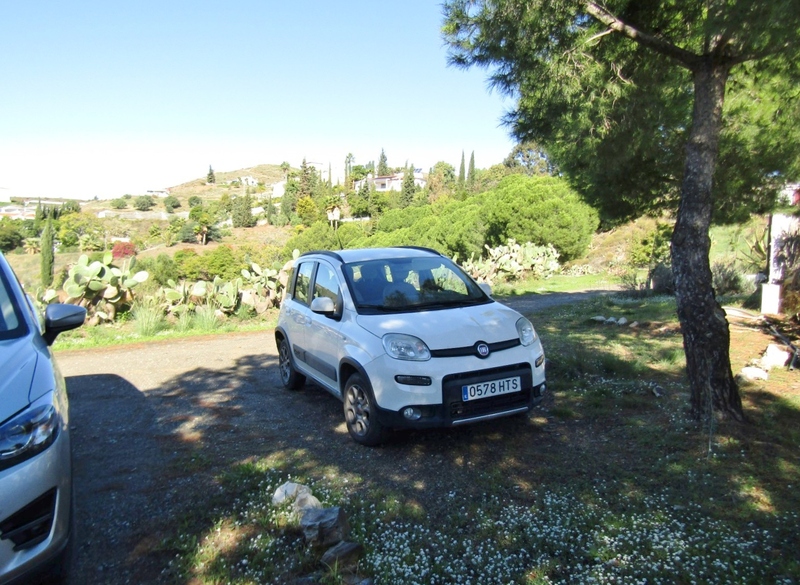 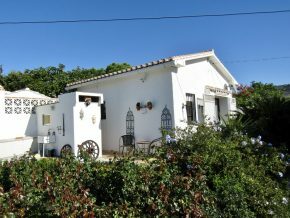 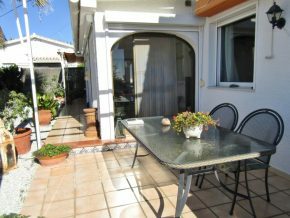 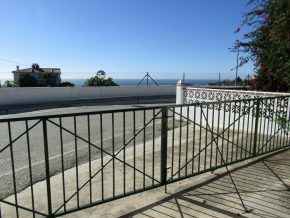 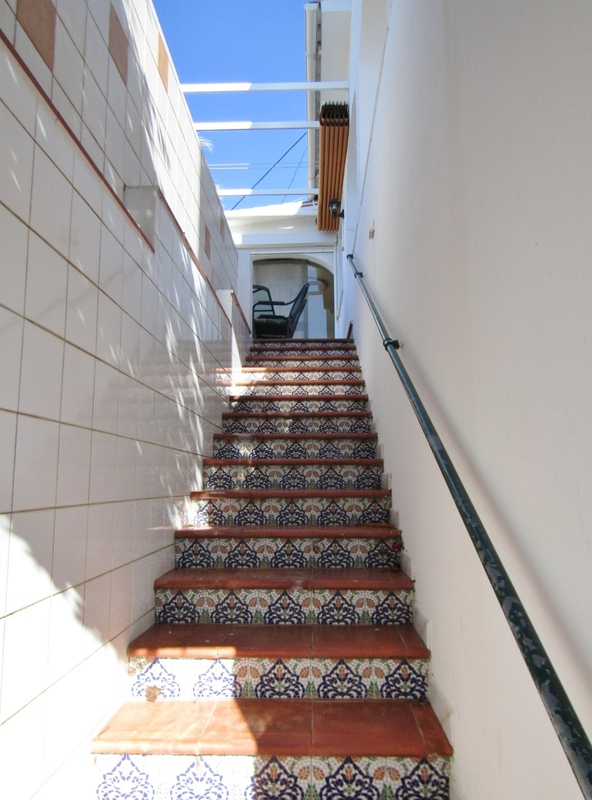 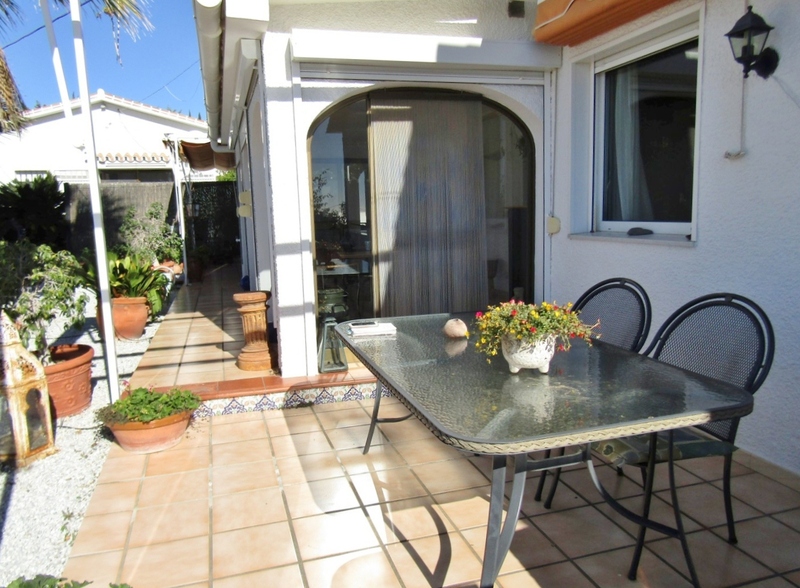 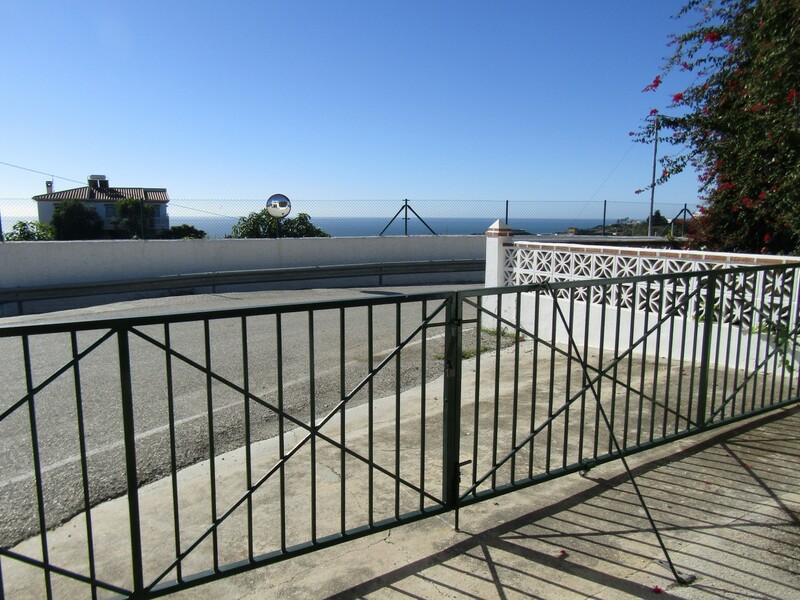 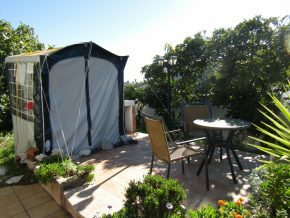 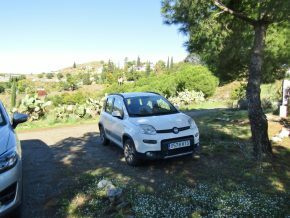 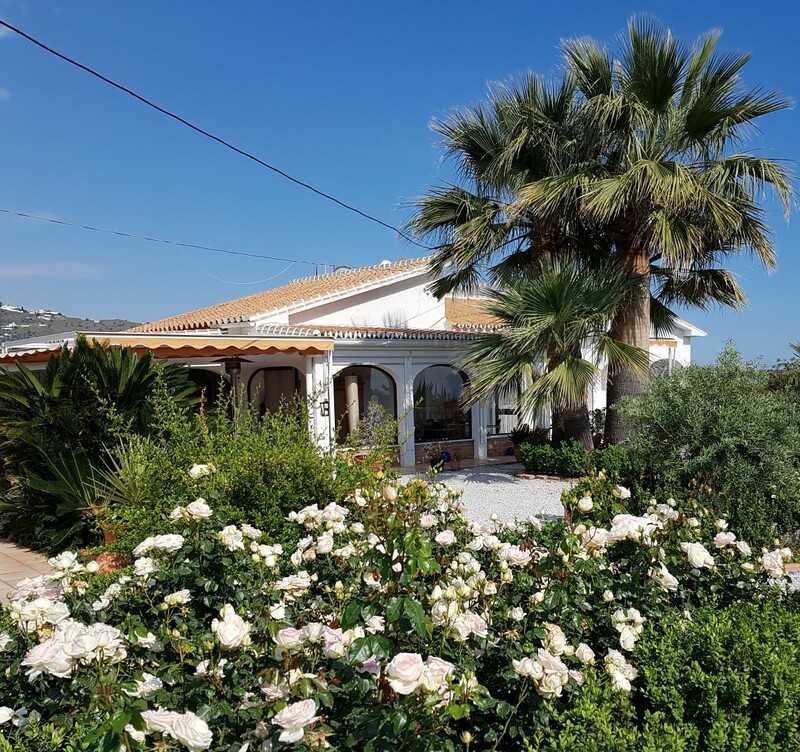 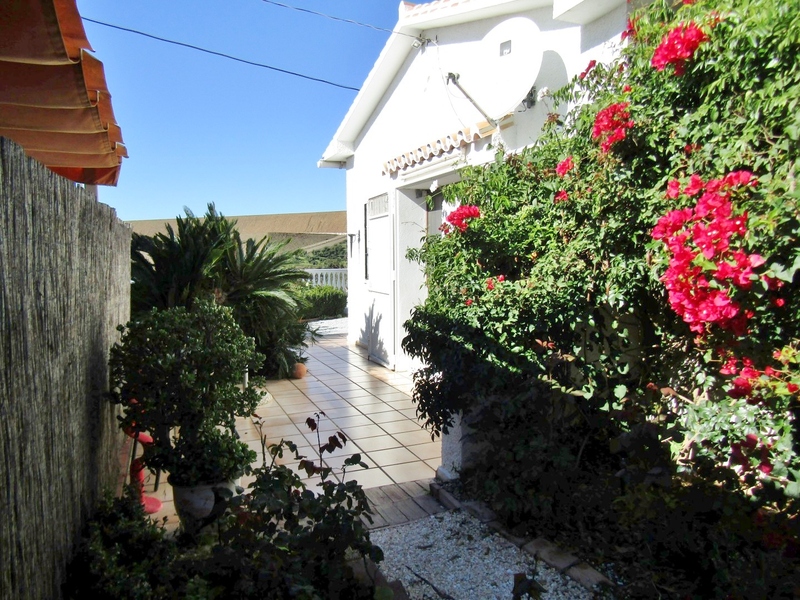 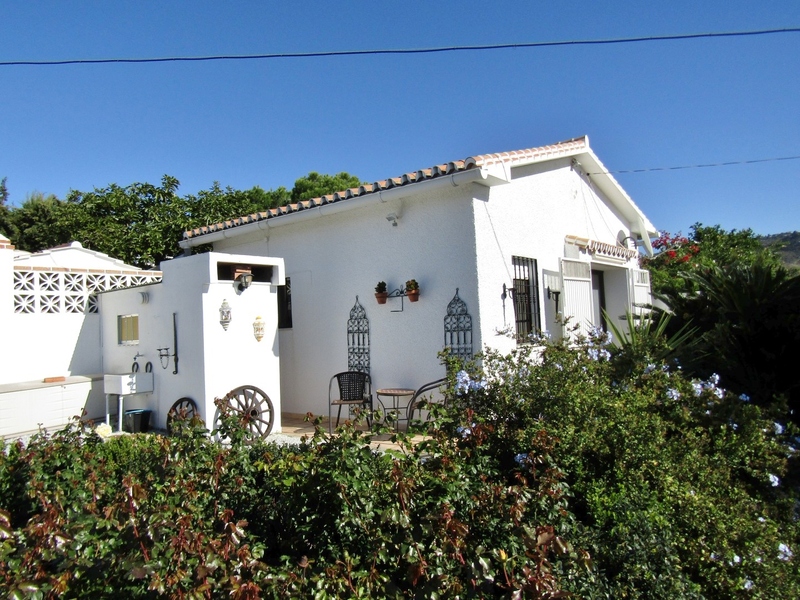 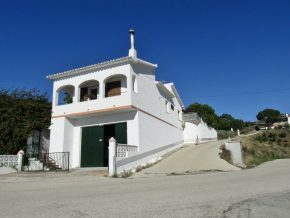 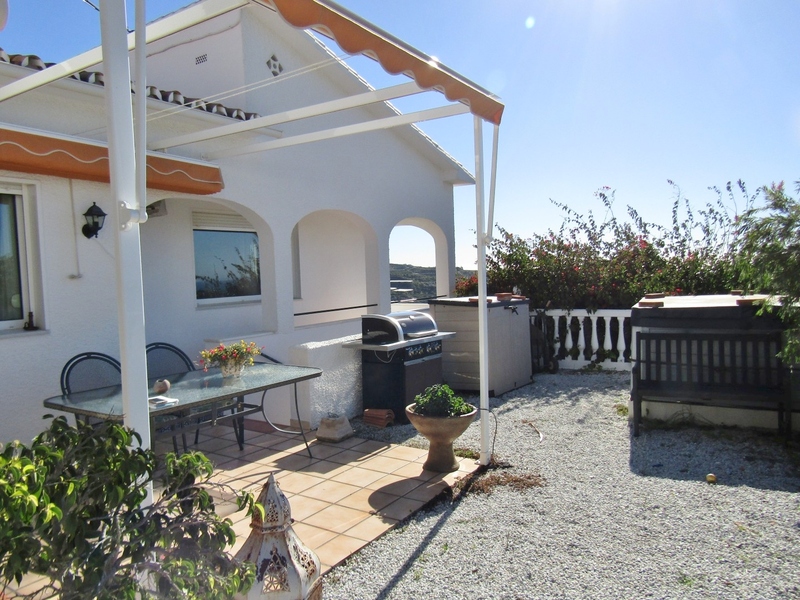 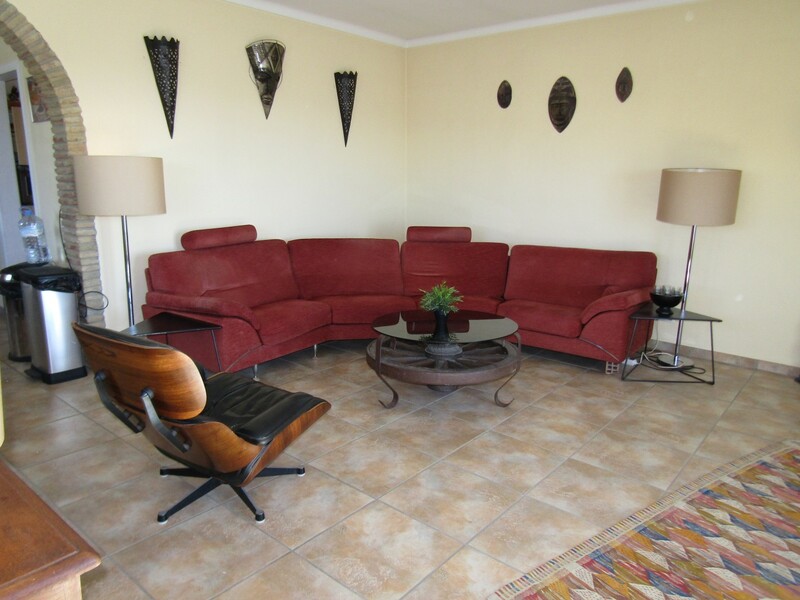 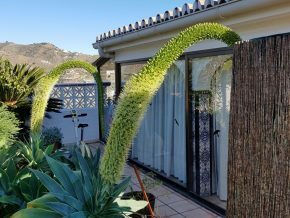 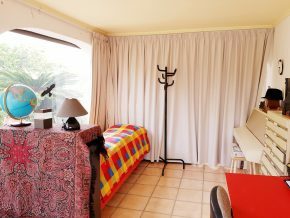 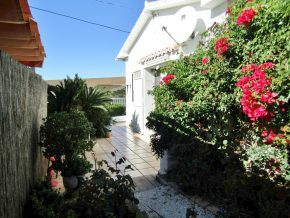 Located along a concrete country lane, just a few minutes from the village of Algarrobo and the coast, this is a perfect opportunity for anyone wishing to set up a small tourist business, living on site. 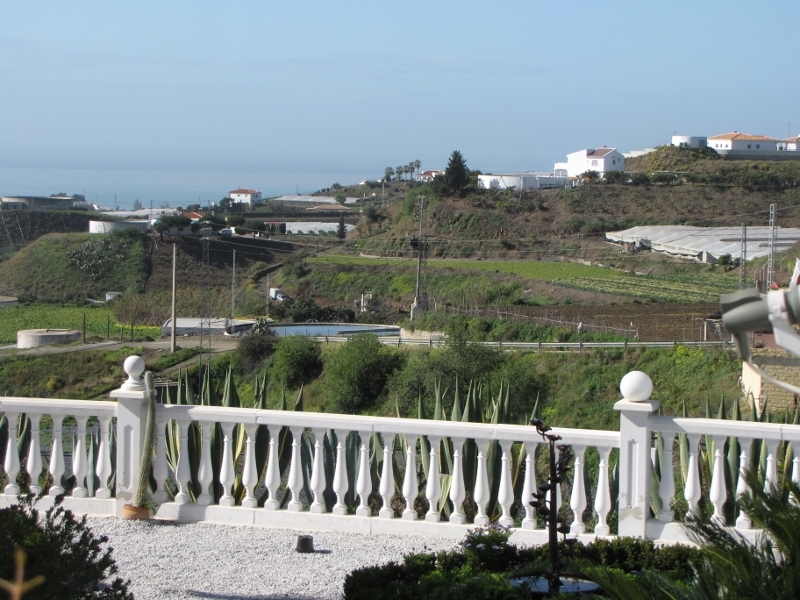 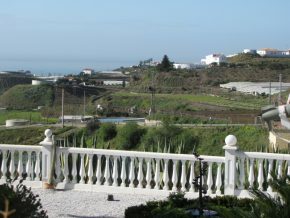 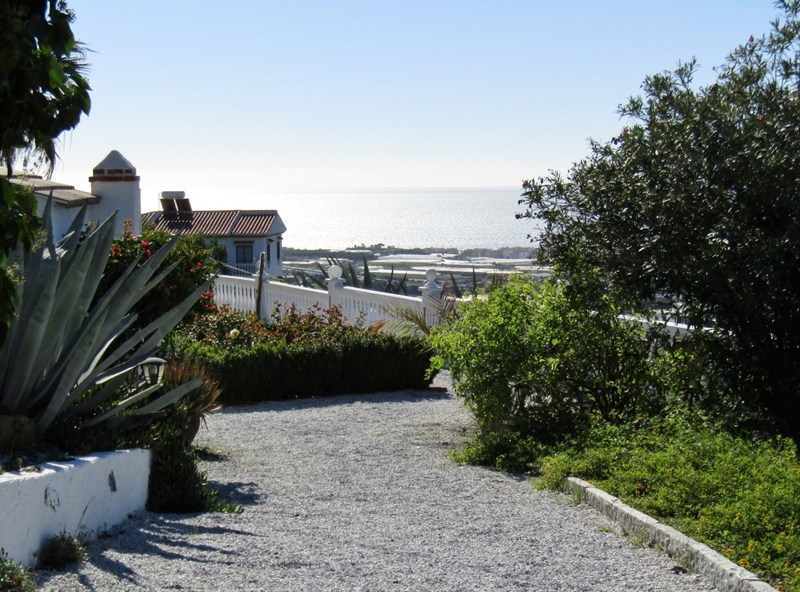 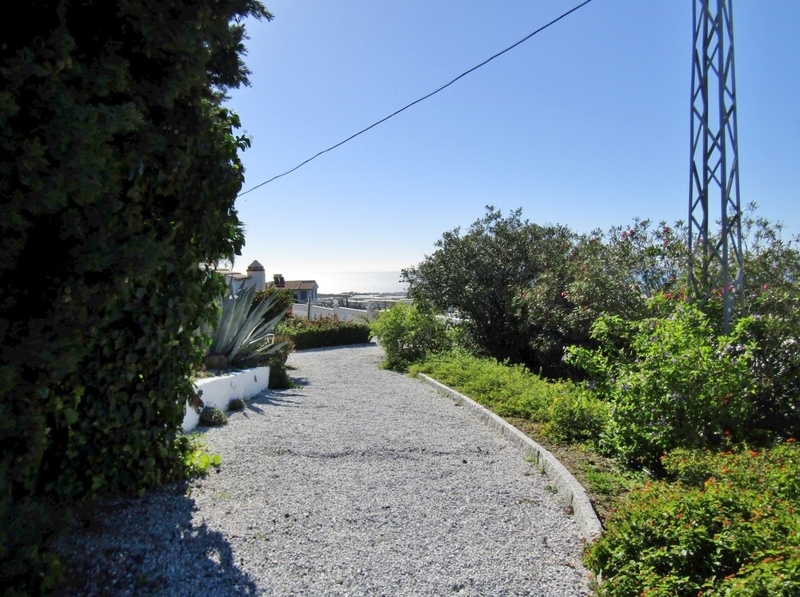 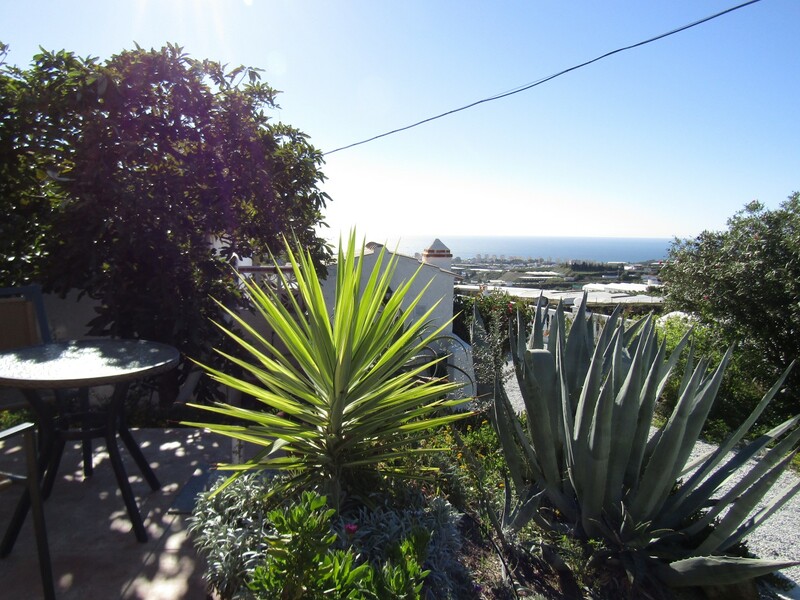 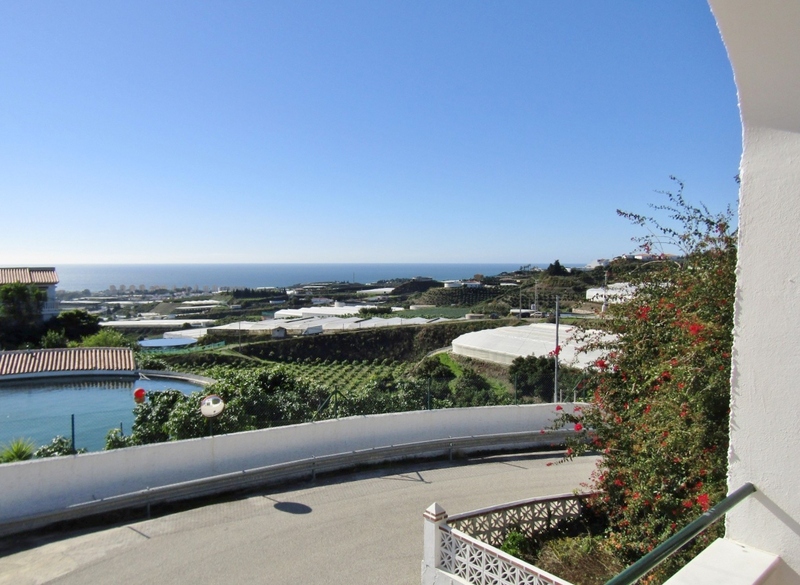 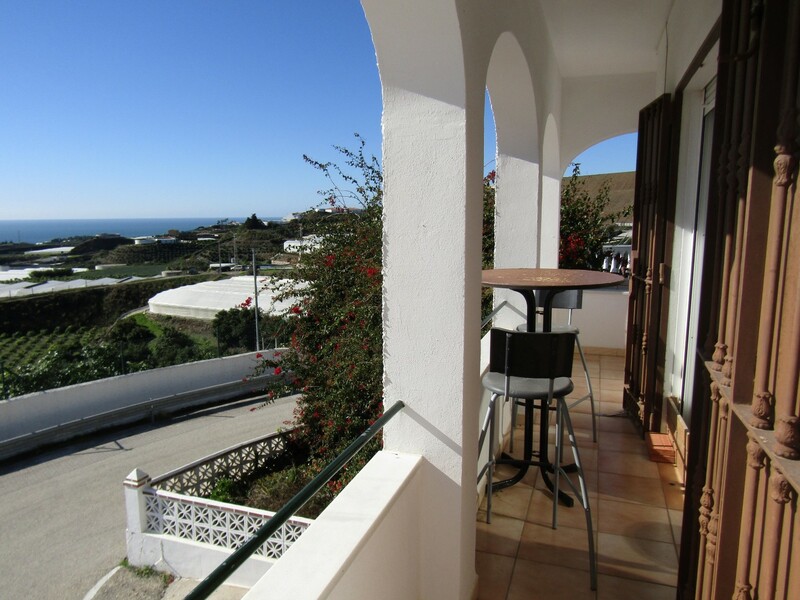 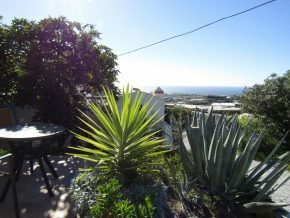 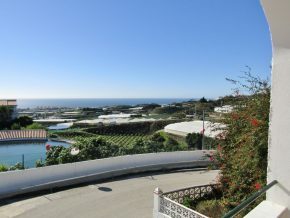 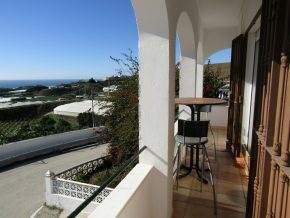 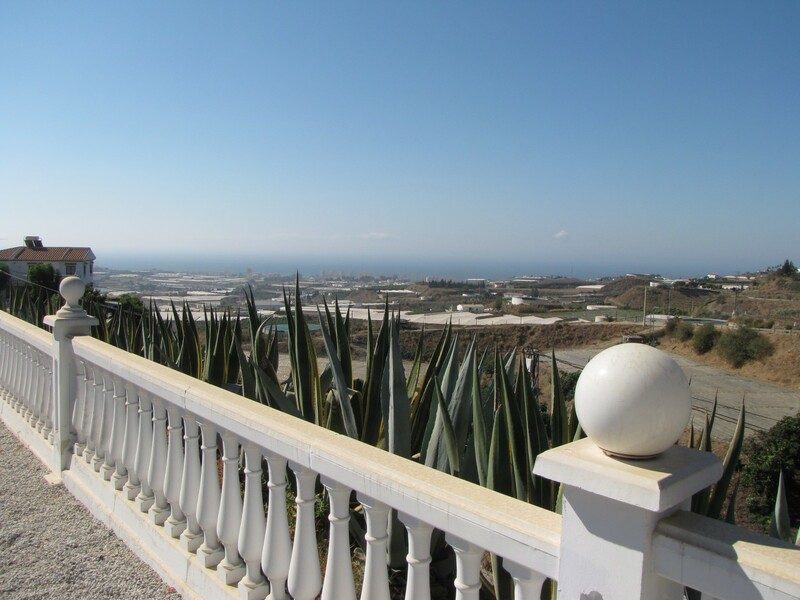 The buildings sit on a plot of 5865 m2 of land with beautiful 180º views to the sea, plus mountain views. Through the electric gates is a very large parking area, with electric connection and parking for up to 4 motor homes, plus parking for various cars. 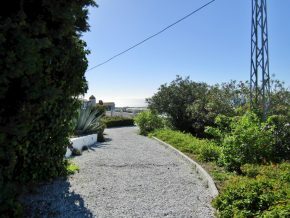 From here a path leads to the buildings. 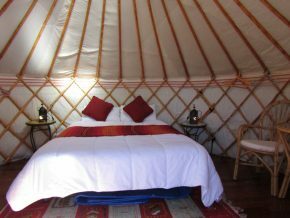 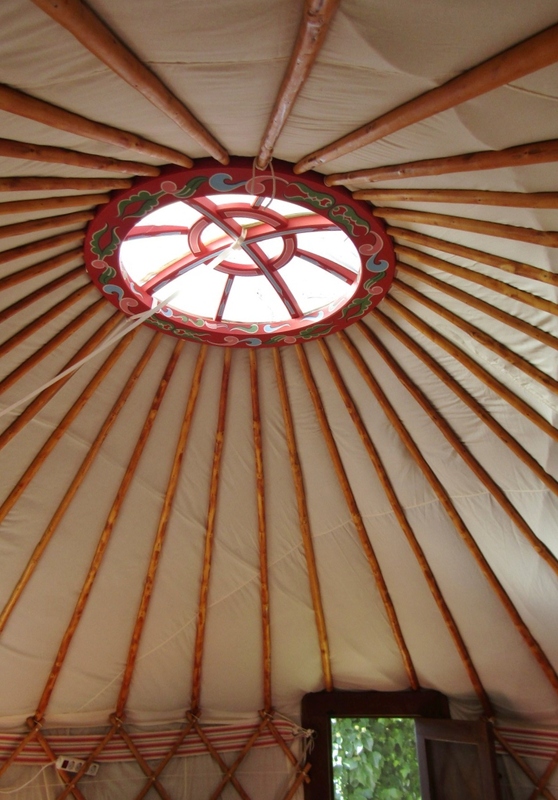 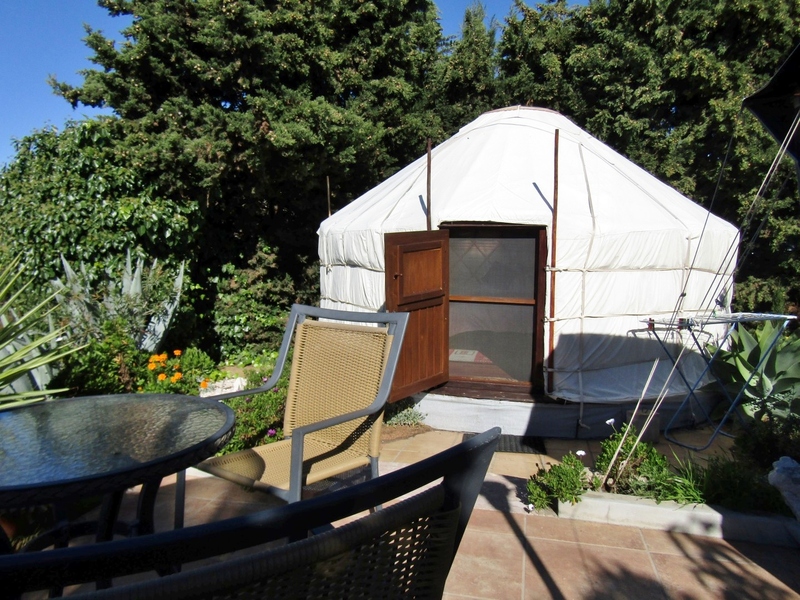 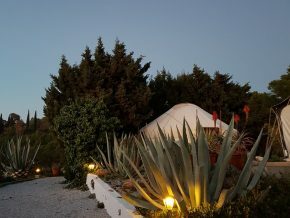 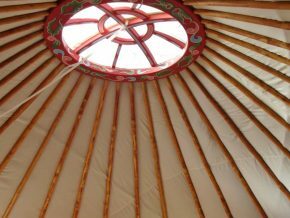 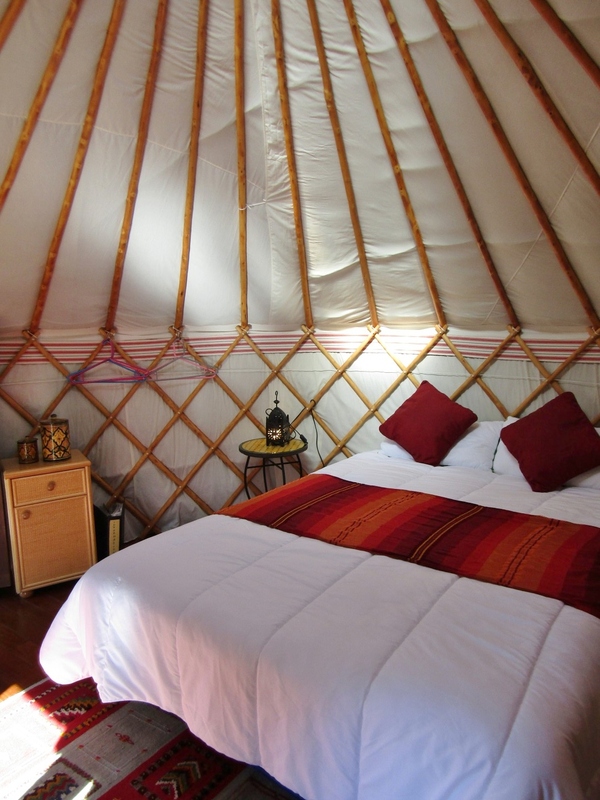 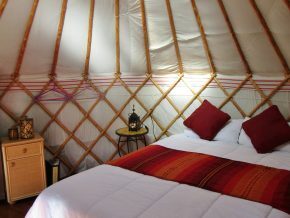 The property consists of two buildings, being the main house and guest casita, plus a beautiful yurt, each with its own garden area. 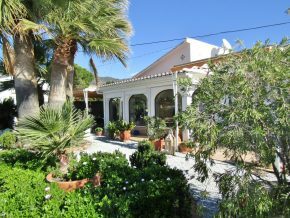 The main house has its entrance via a conservatory or Winter room (15m2), with outside terraces to either side with pull-across awnings, one of which has a built-in barbeque area for dining al fresco. 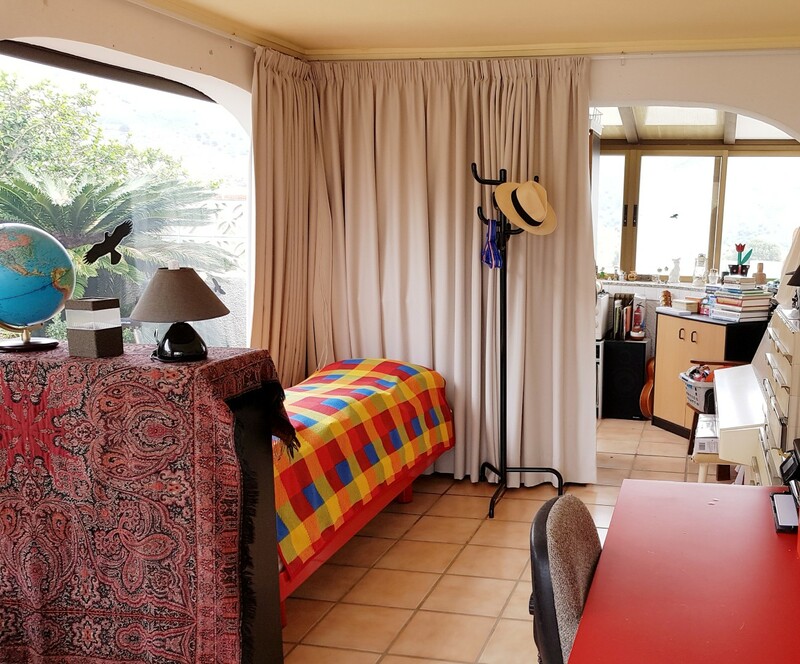 The Winter room, fully glassed in, has wonderful sea views and is cosy and warm in Winter, and in the Summer the glass doors at either end can be opened to allow in the fresh sea breezes. 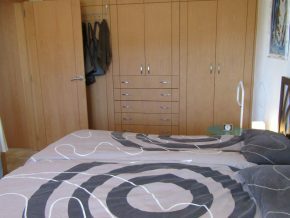 From here the main door leads into a hallway (10.5m2) with fitted cupboards to one side. 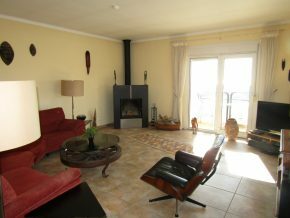 To the right, leads straight into the living/dining room (24m2) with large picture window for natural daylight and a modern woodburner in one corner. 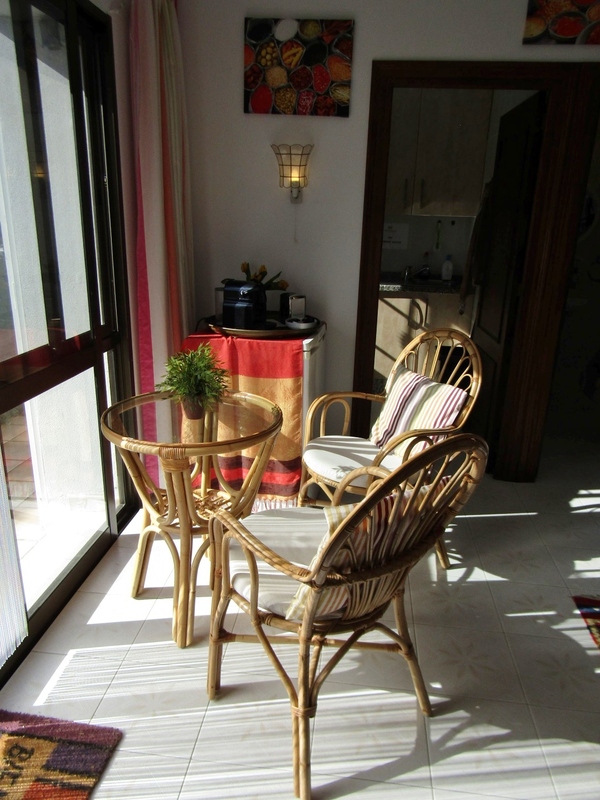 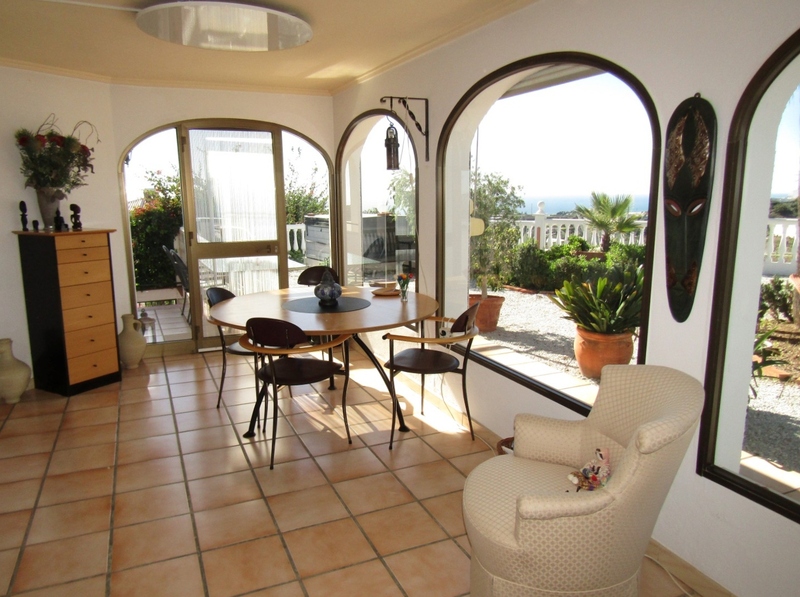 This room also has air conditioning (hot and cold) and security glass sliding double doors to a corridor viewing balcony outside, overlooking the sea. 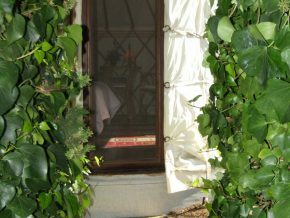 All windows and doors are double glazed with mosquito screens. 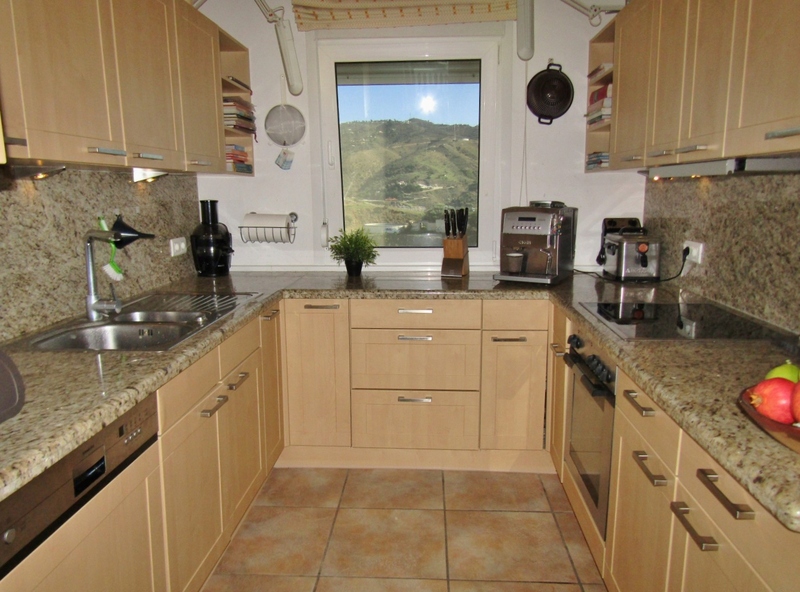 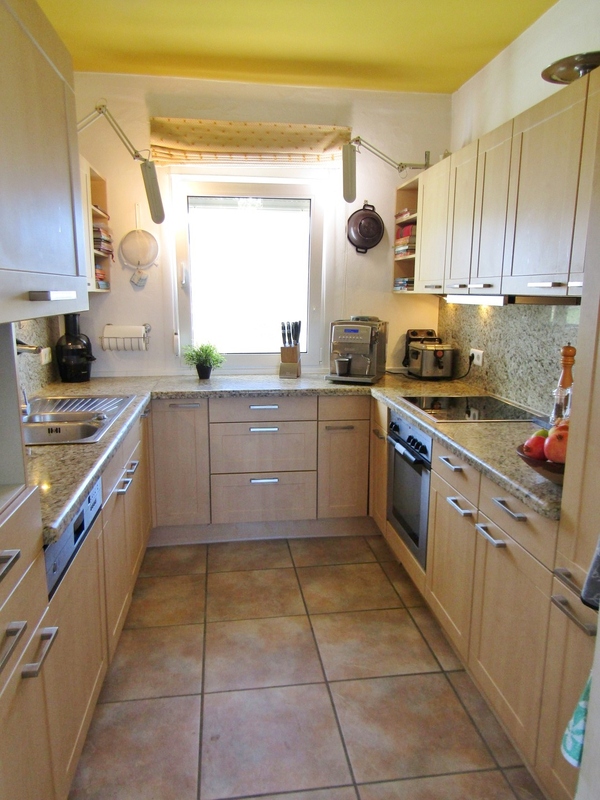 From the hall, we can access the kitchen (7m2), fully fitted and with lovely mountain views. 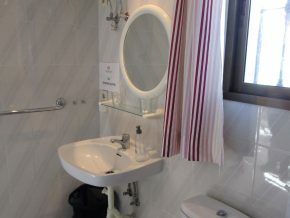 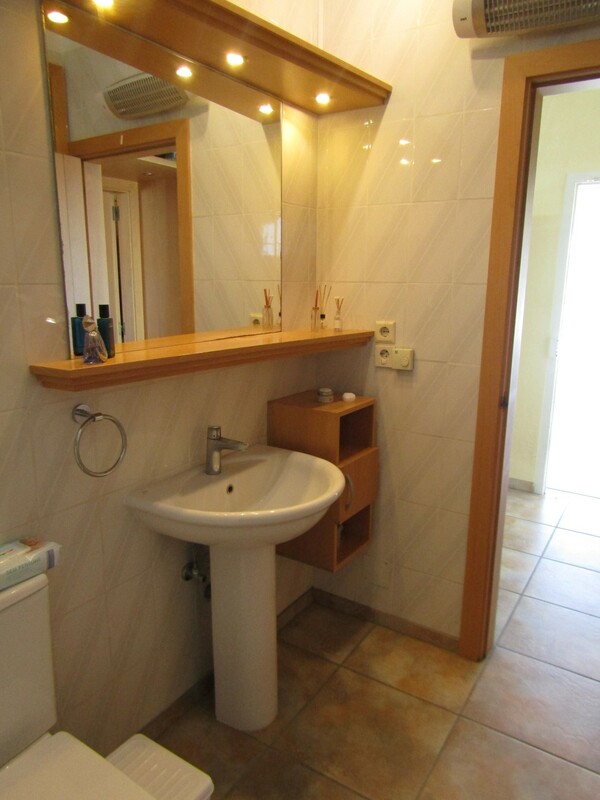 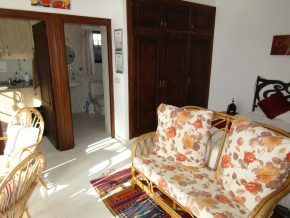 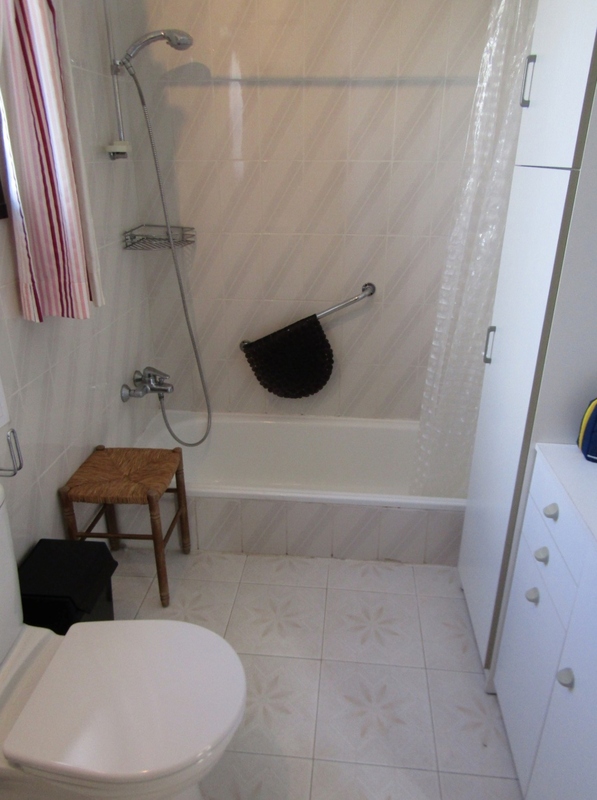 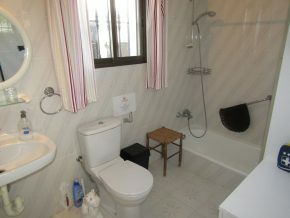 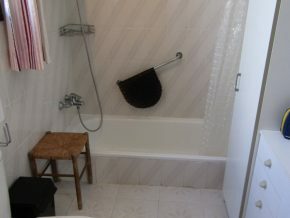 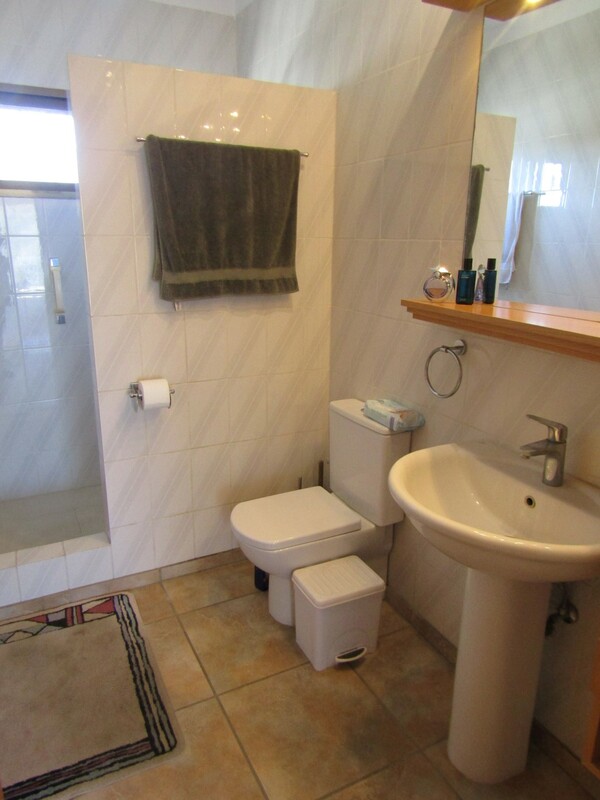 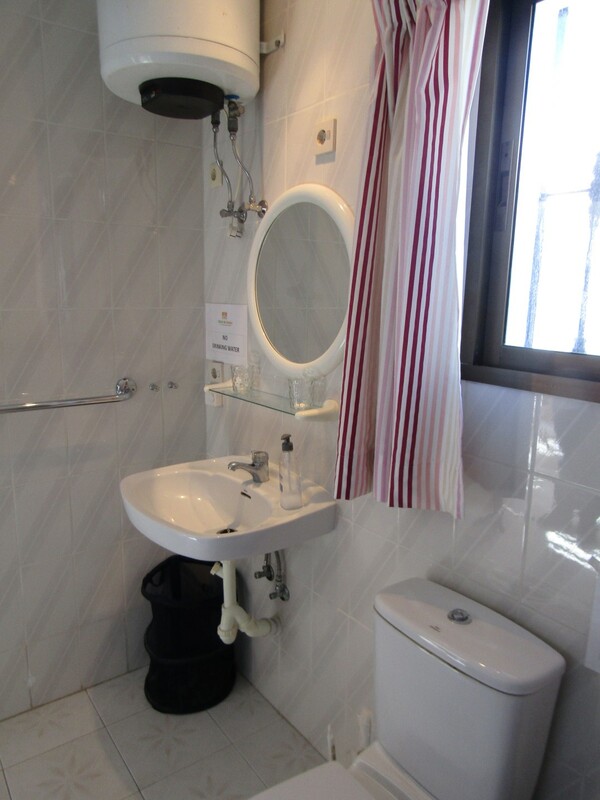 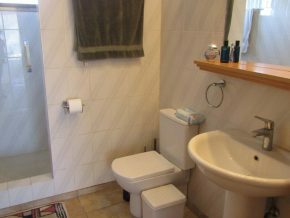 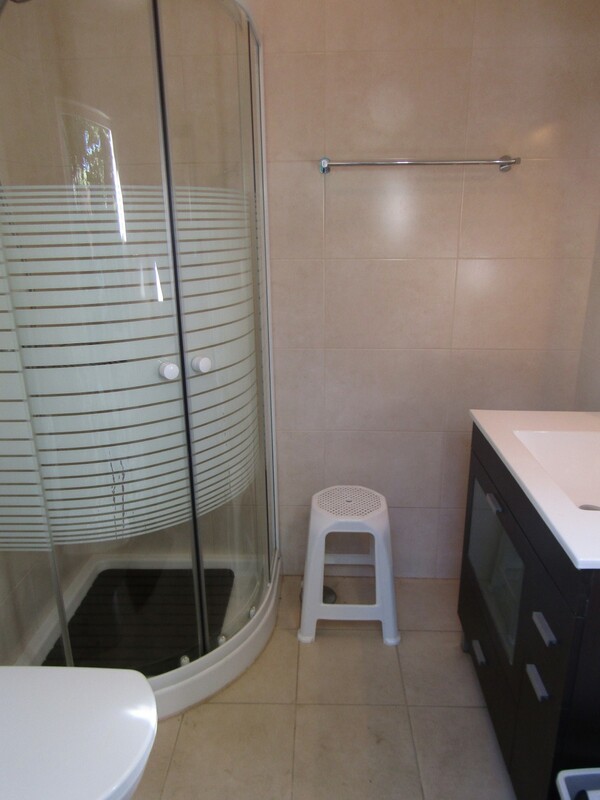 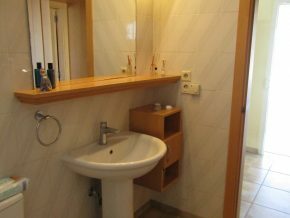 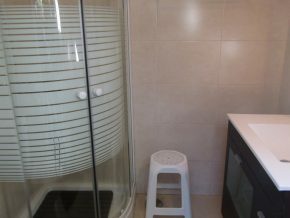 The bathroom, also accessed from the hall, is 5m2 with a large, walk-in shower and under floor heating. 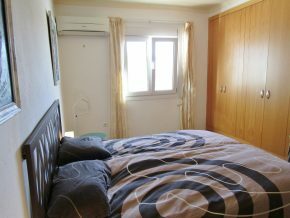 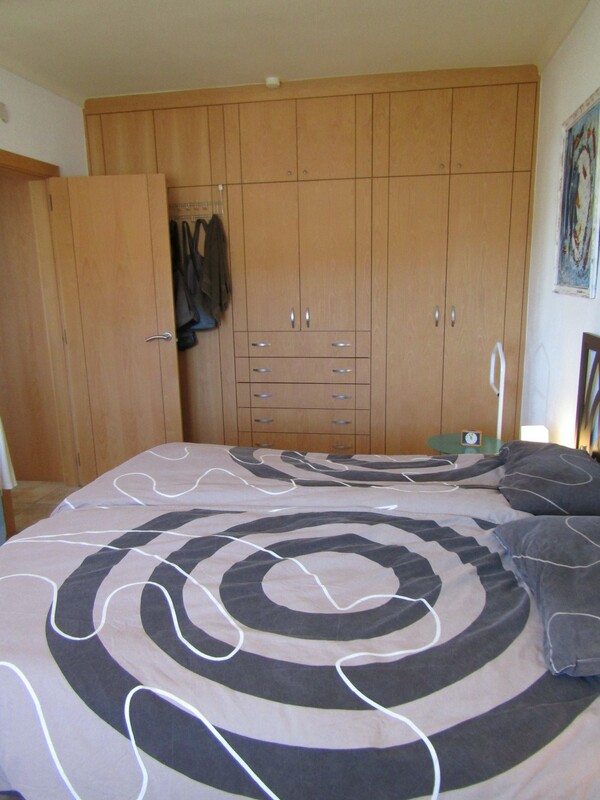 To the left of the hallway is a door to the first bedroom, (20m2), with fitted wardrobes on two sides and hot/cold air conditioning. Outside, adjoining the house from one of the open terraces, is access to the second bedroom, which has glass walls on three sides and is around 15m2. 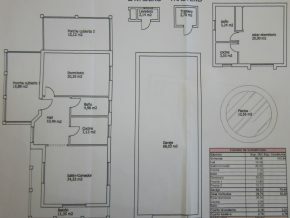 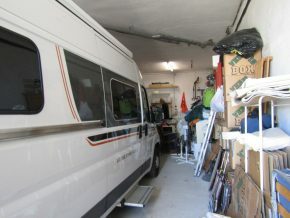 It has a store room to the rear which could potentially be made into a bathroom. This room is currently used as an office. 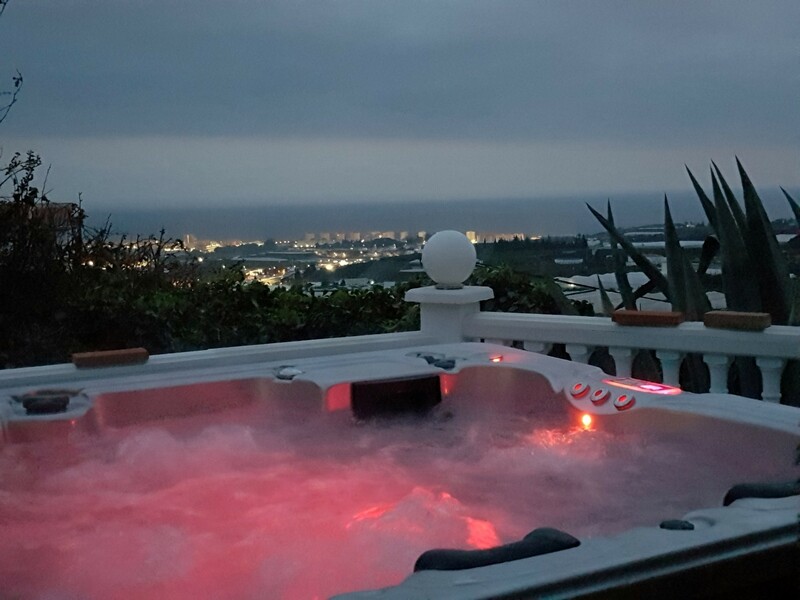 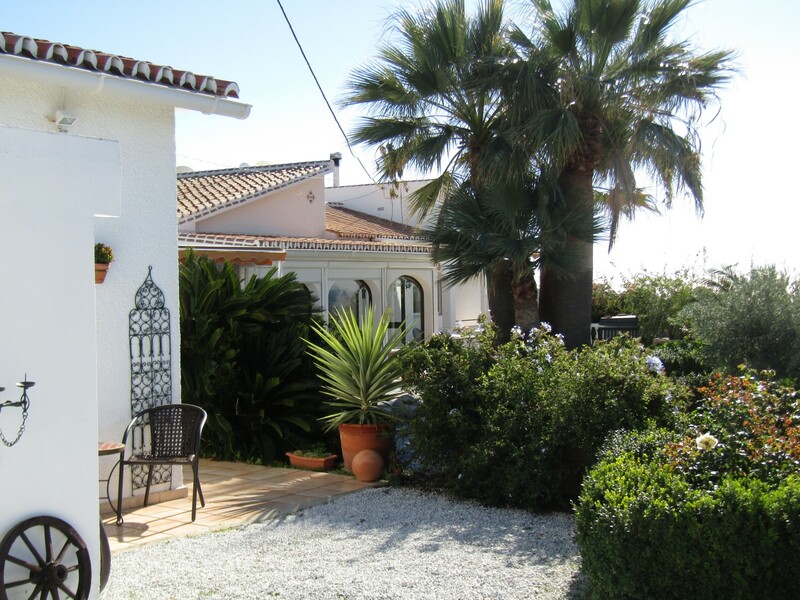 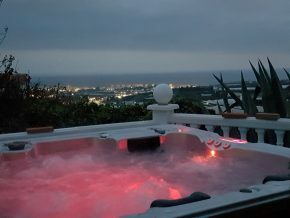 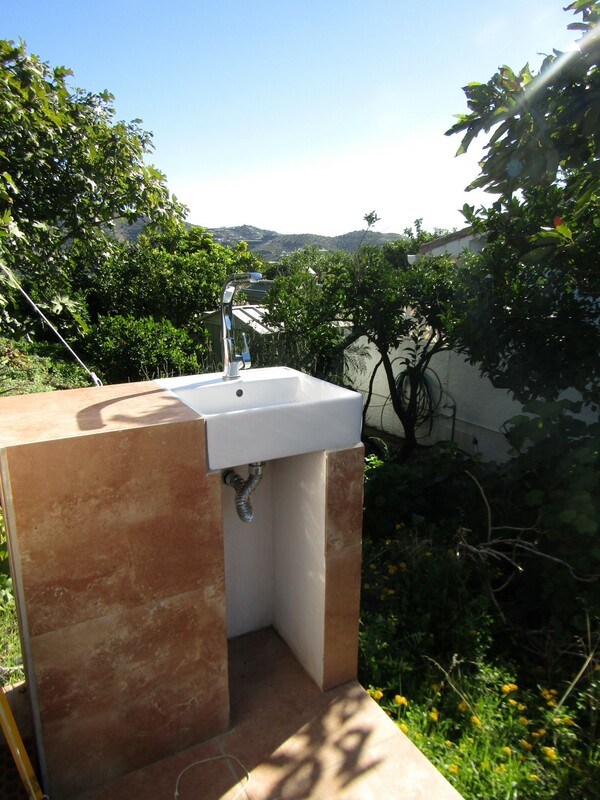 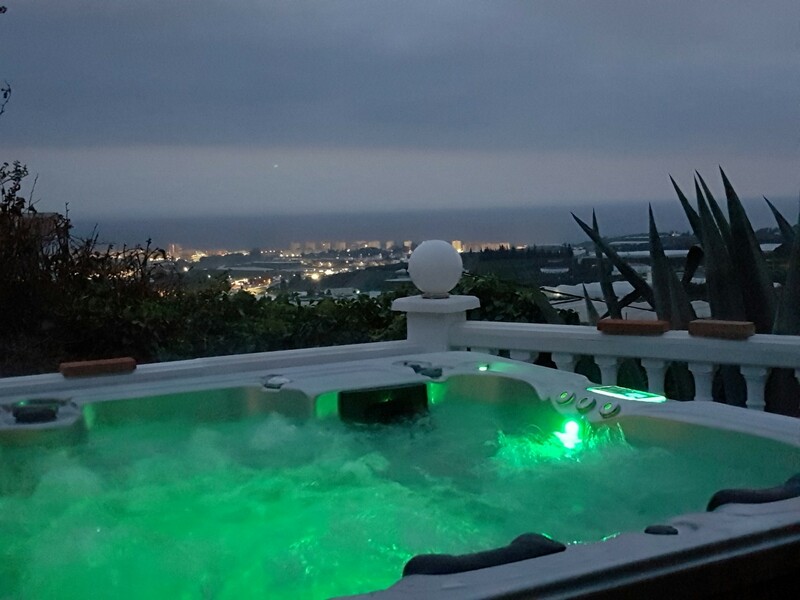 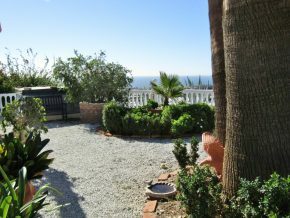 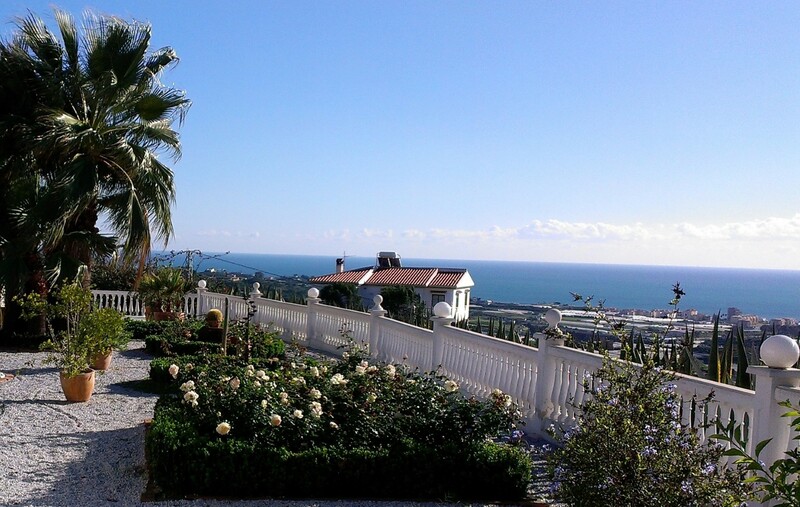 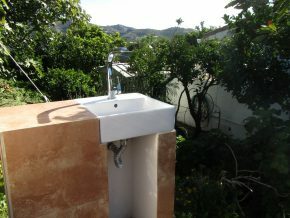 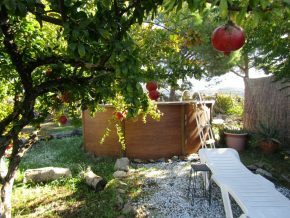 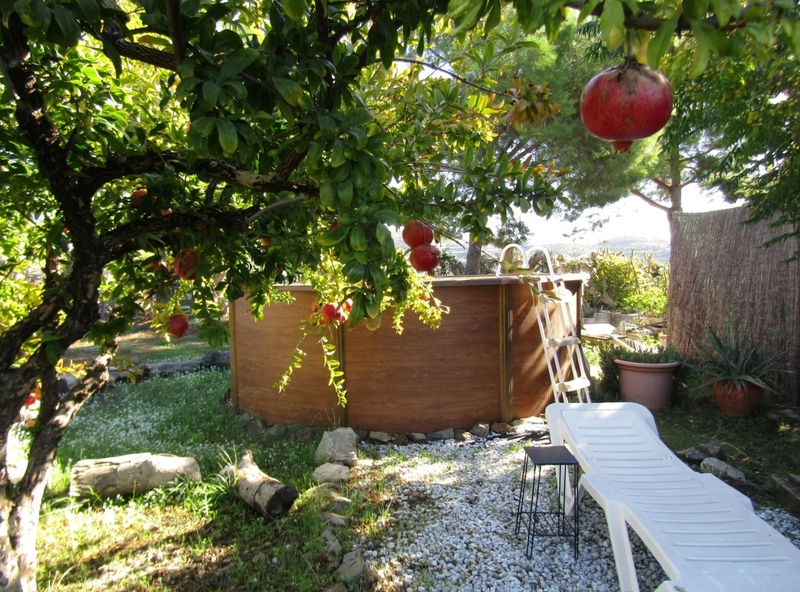 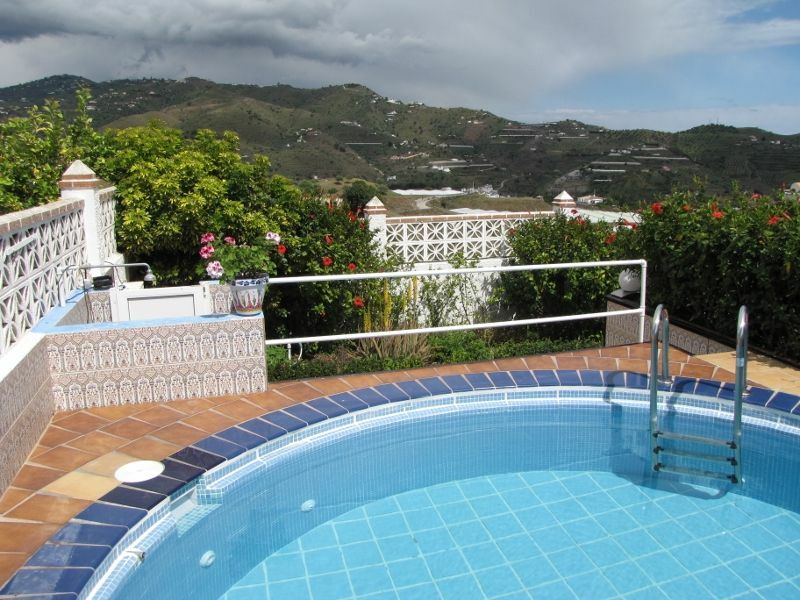 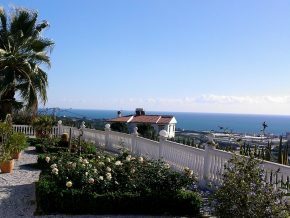 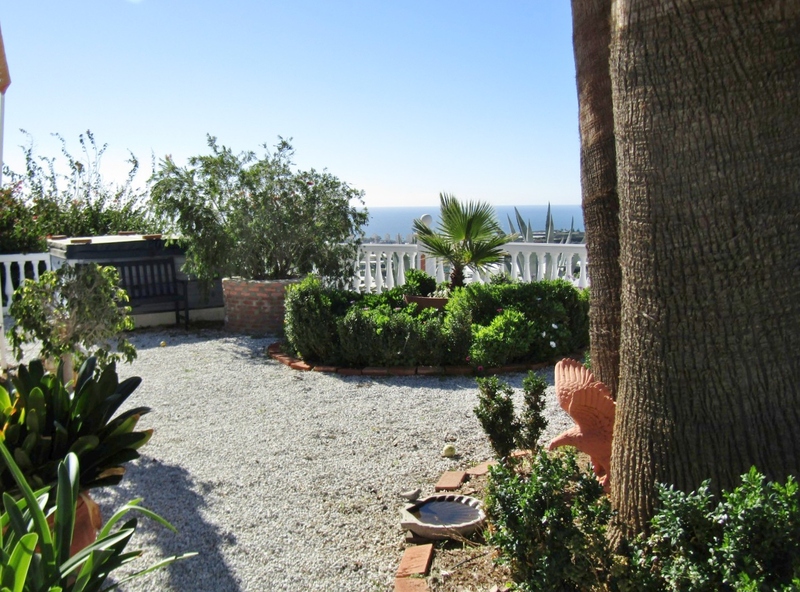 There are lovely gardens around the house, and a jacuzzi with a sea view! Next to the barbeque and jacuzzi area are steps that lead down to the lower floor, which consists of a very large garage (68m2 of useable space) with garage doors, a short drive and gates leading straight onto the road. 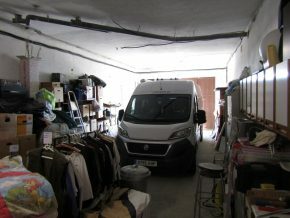 This is a very useful area for storage, parking vehicles, a workshop, etc. 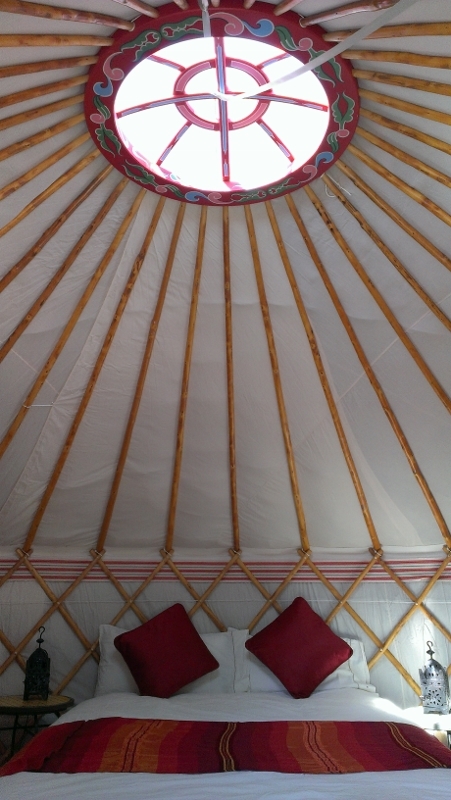 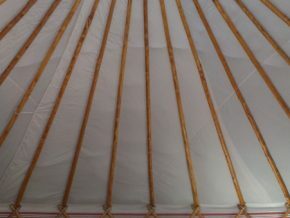 The house has WIFI in all areas, as does the casita and yurt. 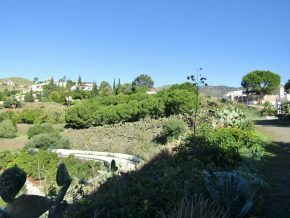 Just around the corner, set apart from the main house and made private by a high wall, is the guest casita. 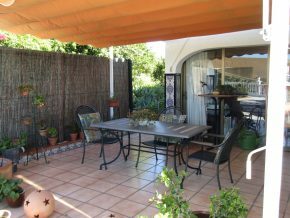 It has its own garden area and outside seating and dining area. 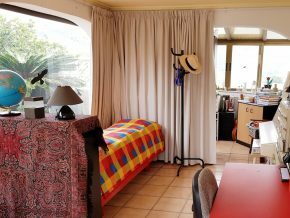 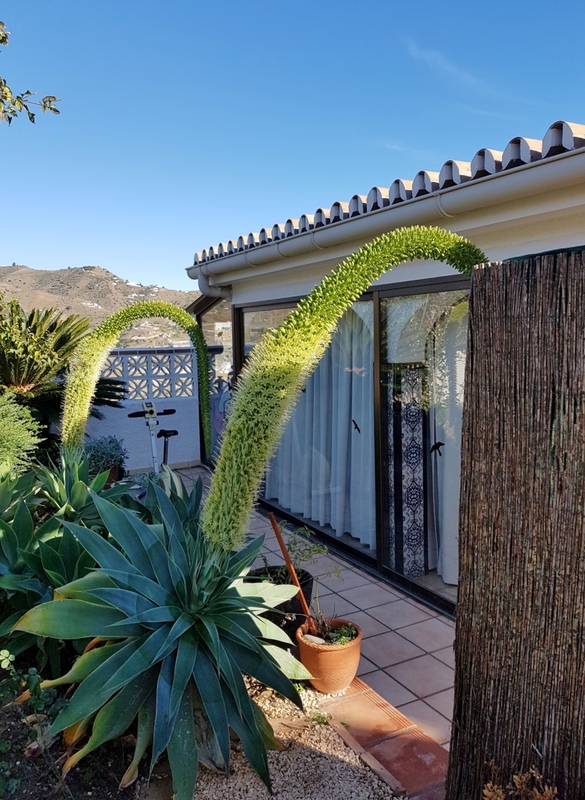 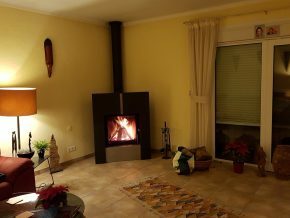 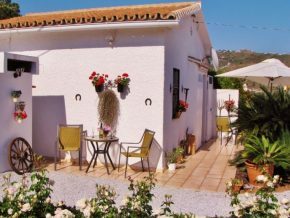 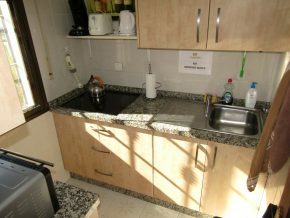 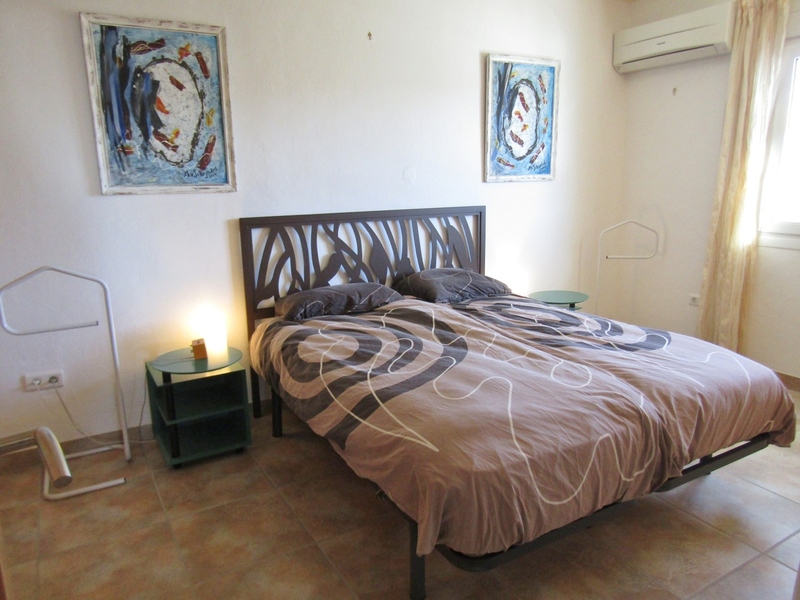 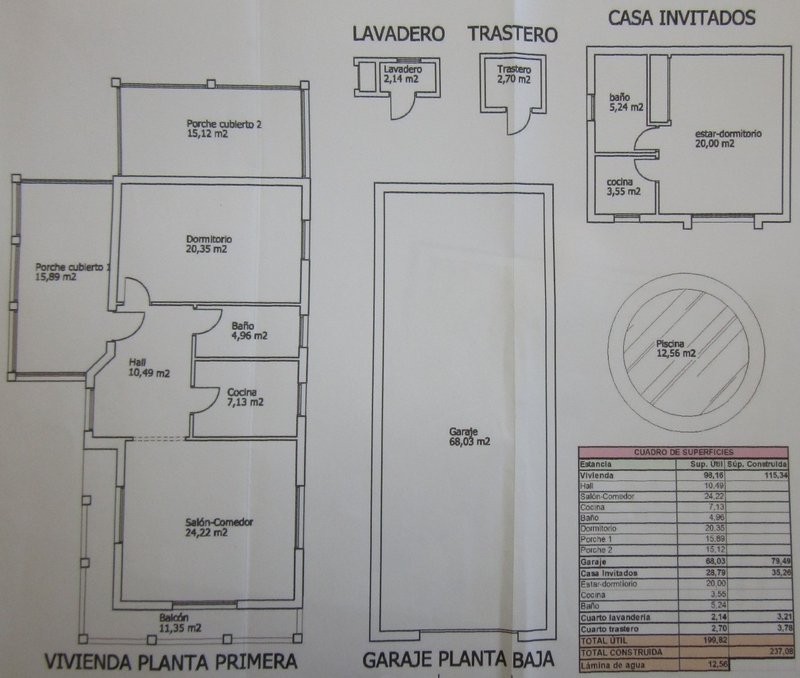 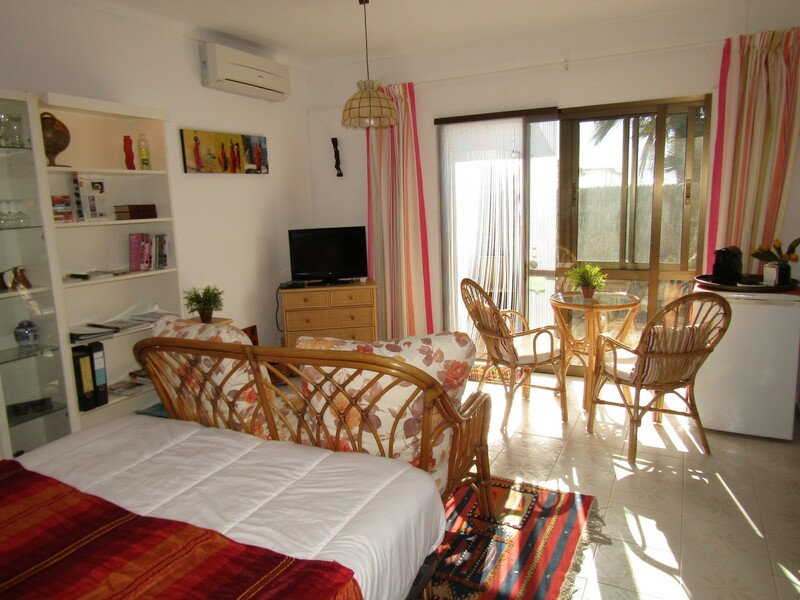 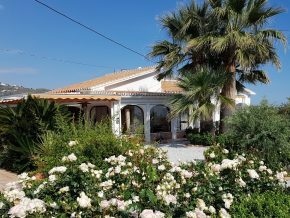 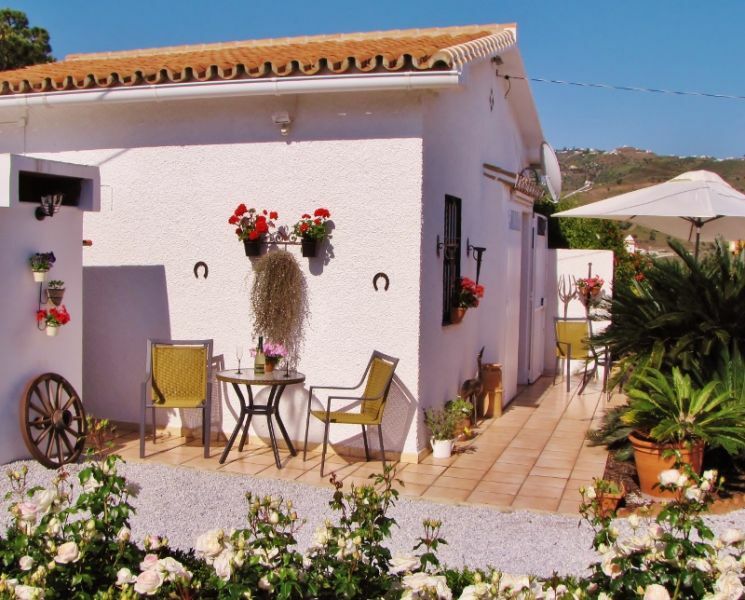 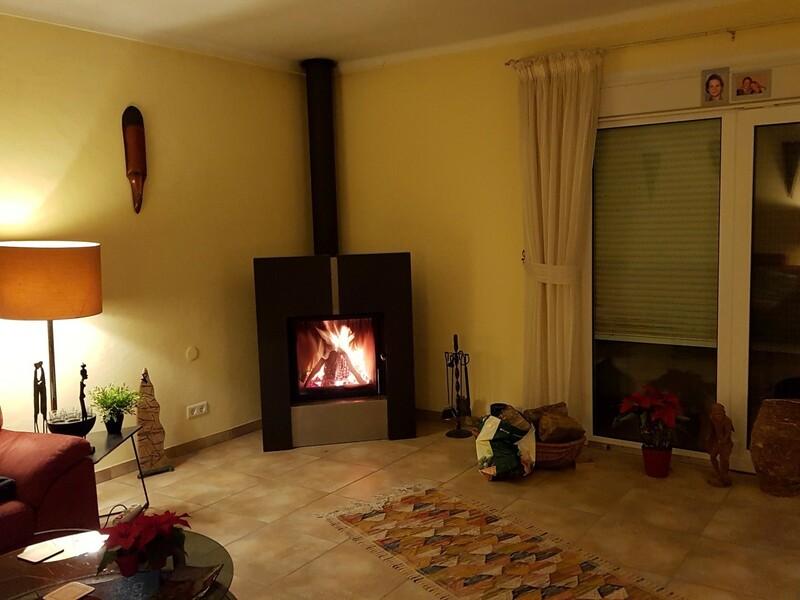 The casita, which is 35m2, consists of a studio room (20m2) with air conditioning (hot and cold), plus a small, fully fitted kitchen (3.5m2) and a bathroom (3.2m2) with under floor heating. 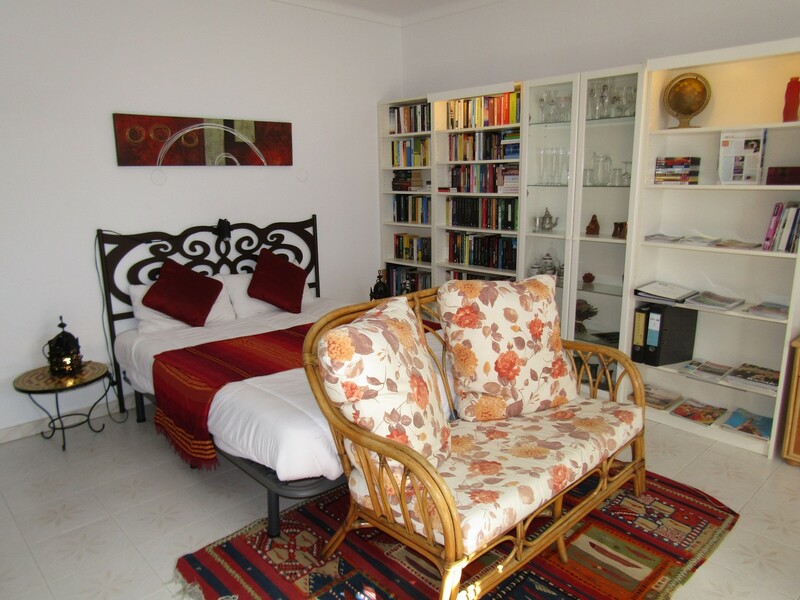 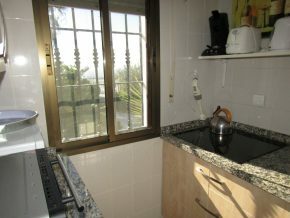 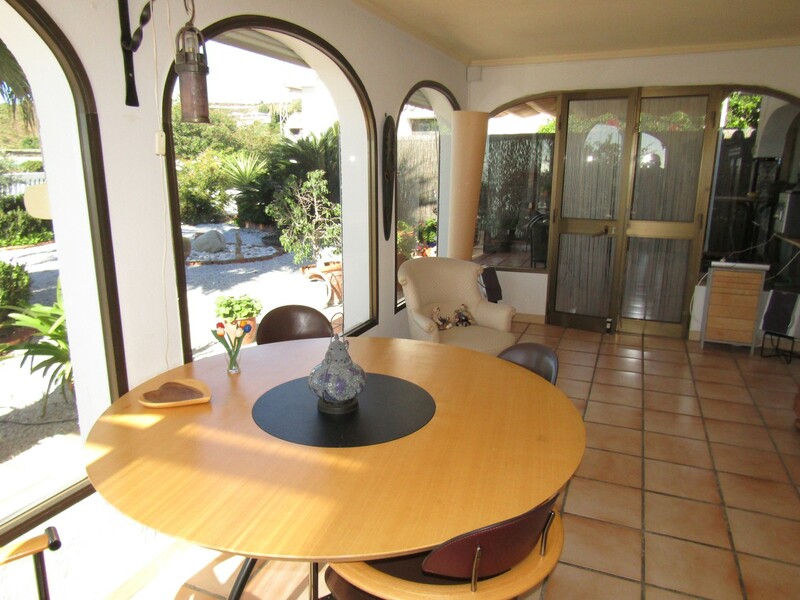 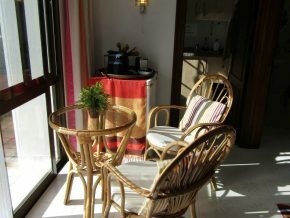 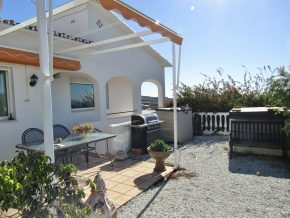 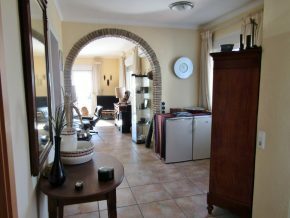 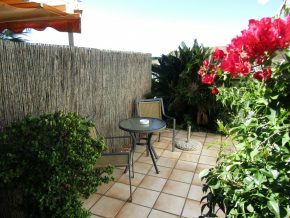 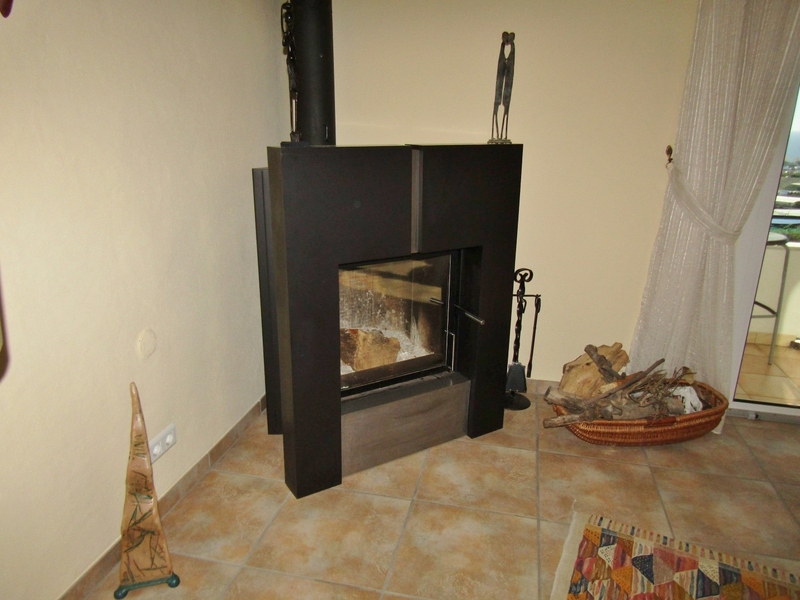 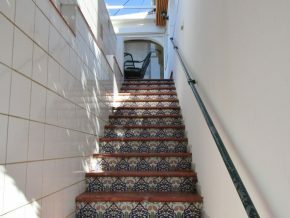 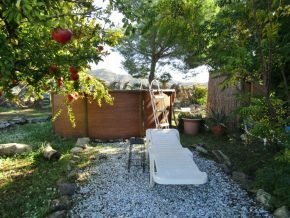 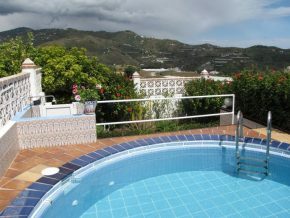 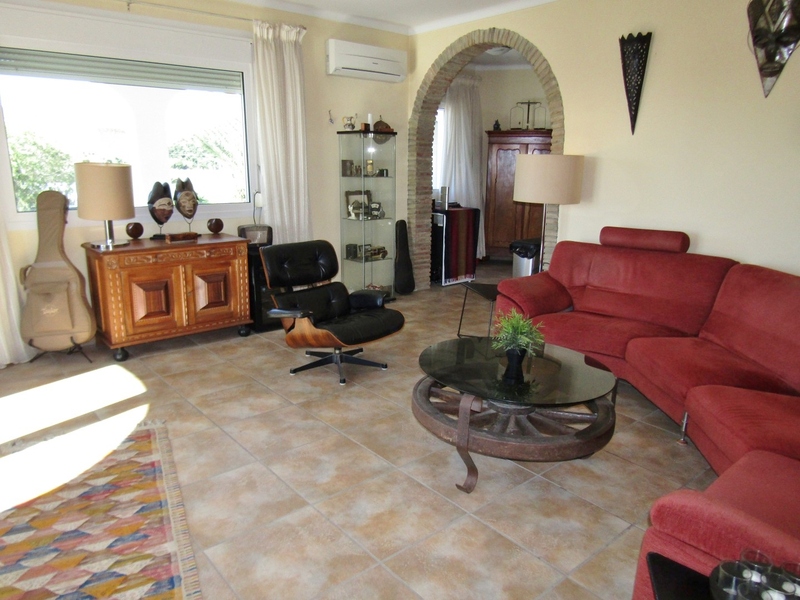 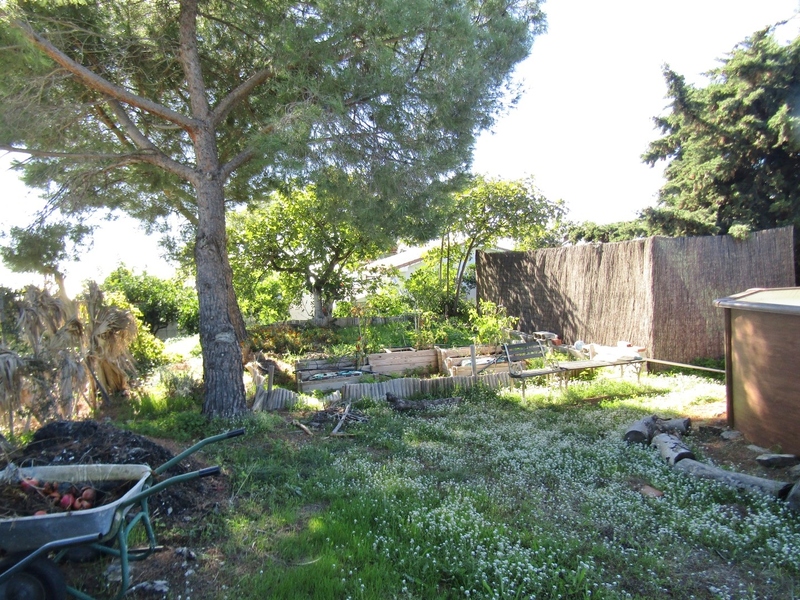 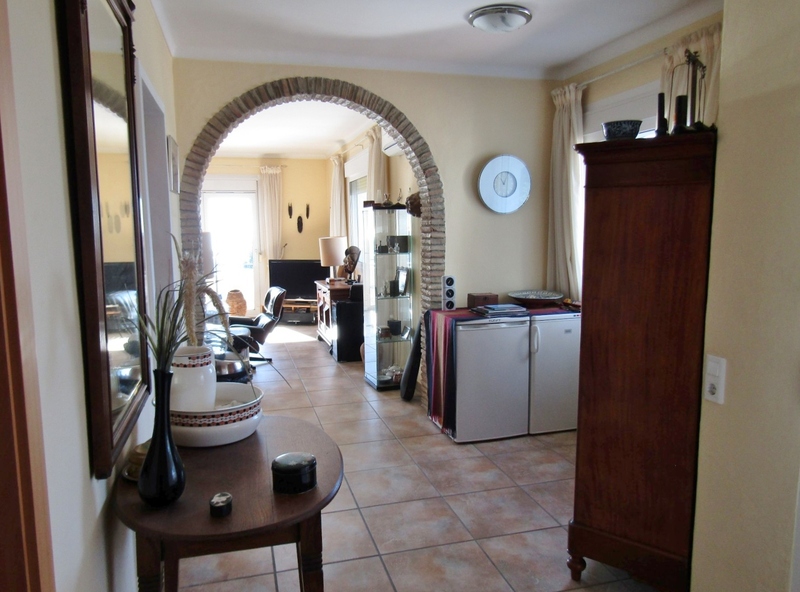 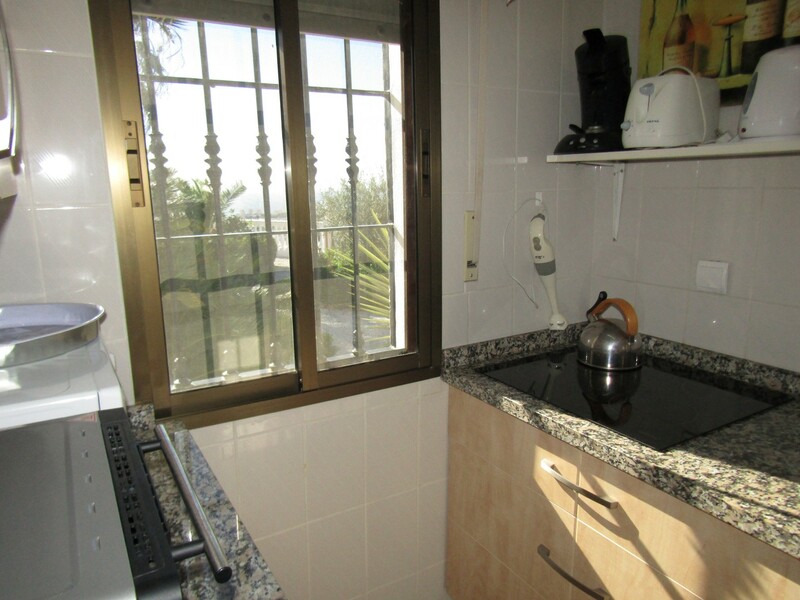 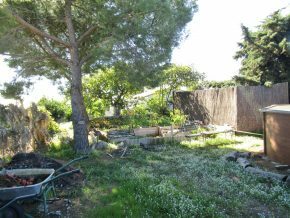 Access to the in-ground pool (4m in diametre) and sunbathing terrace is very close to the house and very private. 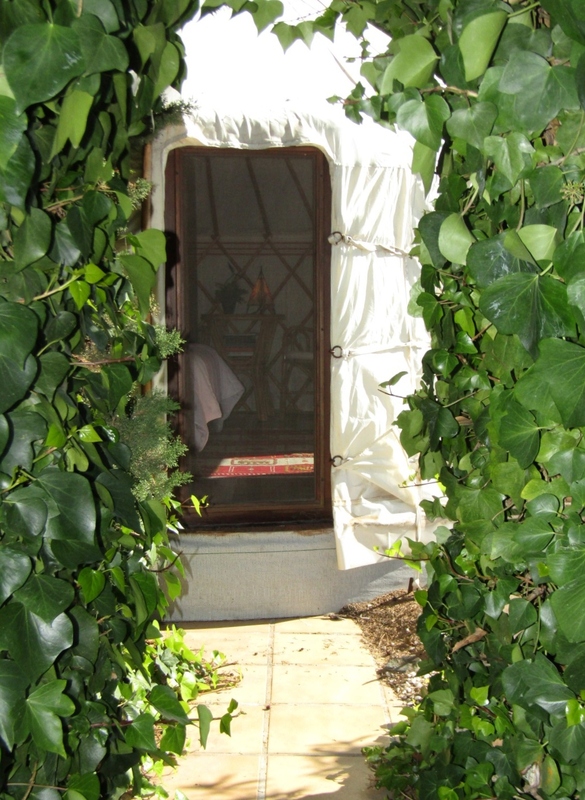 Closer to the entrance to the gardens of this property, a little archway in the hedge leads to the area dedicated to the yurt. 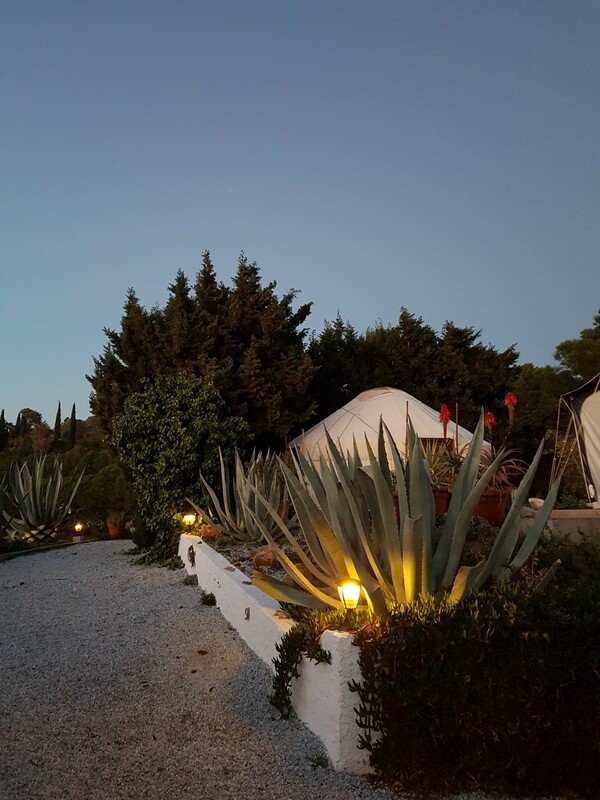 This lovely Alpujarran style, insulated structure is extremely popular with the tourists and an original and romantic ‘glamping’ option for couples. 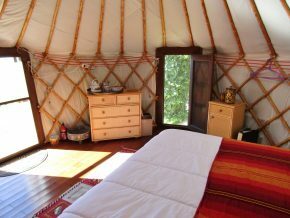 They benefit from their own shower room, just metres from the yurt, and their own little kitchen and barbeque area, plus own gardens and access to their own above-ground pool (3.5m in diametre). 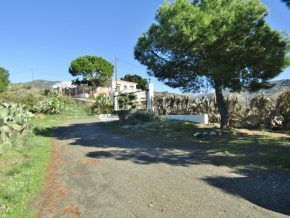 The grounds of this property are mainly flat, fully gated, with a vegetable growing plot around the back of the parking area. 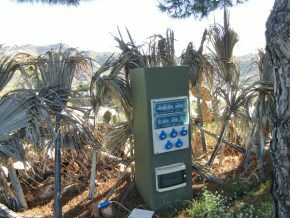 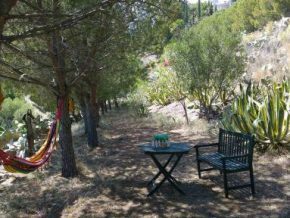 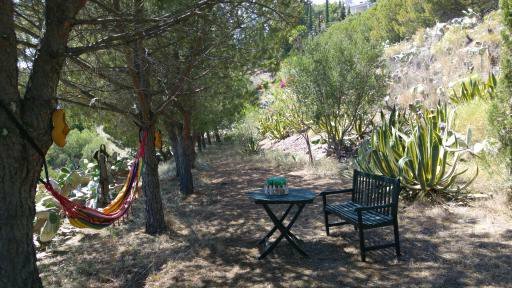 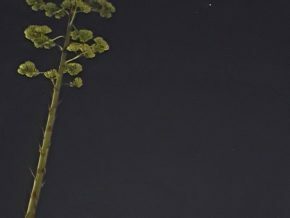 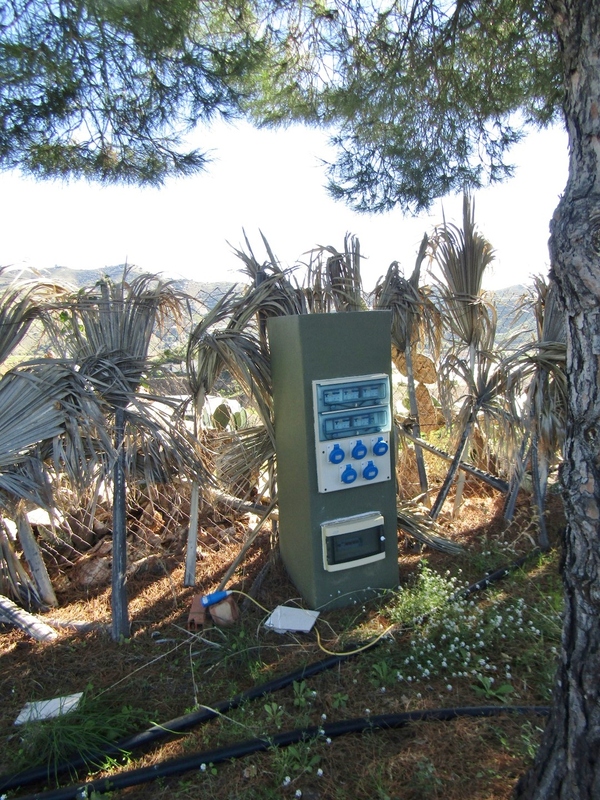 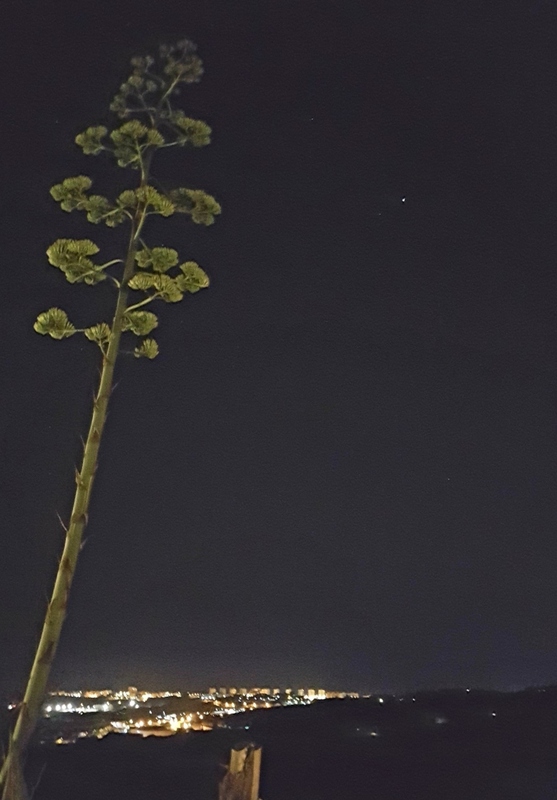 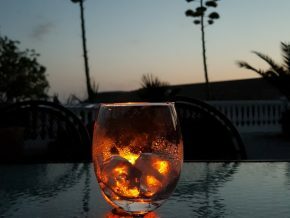 There is an additional area with a line of beautiful, mature pine trees, where the current owners hang hammocks in the Summer for their guests to enjoy, all with the wonderful backdrop of the deep blue Mediterranean sea to the South and the mountains to the North and East. 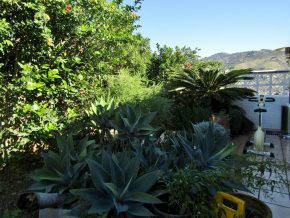 The grounds are fully fenced. A true little paradise in a fabulous location!